Miami’s Design District is a pocket of commercial properties that comprise a unique “community of design”, generally located between N.E. 36 and 41 Streets and between Biscayne Boulevard and North Miami Avenue. The vast majority of commercial space within the Design District has traditionally catered to creative businesses including interior design firms, art galleries and studios, media production firms, and furniture retailers. Over the past eight years, restaurants have also begun to open in this district, providing a night-time entertainment element to the neighborhood that has increased its popularity. These currently include Michael’s Genuine Food, Buena Vista Bistro, MC Kitchen, Mandolin, Egg & Dart, and Oak Tavern. The Design District is also home to the Design and Architecture Senior High (DASH), a highly-regarded magnet high school that is part of the Miami-Dade County public school system. Craig Robins, the majority owner of properties within the Design District, was the driving force for the neighborhood’s recent rejuvenation. Most recently, he has begun luring high-end, luxury retailers to locations in this neighborhood. This is part of a large-scale plan to re-make a large central portion of the Design District into an enclave of ultra-luxury shopping, augmented by cafes and tree-shaded plazas. The targeted area lies between N.E. 38 and 40 Streets, along N.E. 1st Avenue and continuing to the east toward N.E. 2nd Avenue. It includes more than 540,000 square feet of new construction and redevelopment that is now underway, at a cost of $312 million. The original plan calls for the creation of Palm Court, a pedestrian retail district along a north/south axis through these city blocks, with underground parking. Longstanding non-compete clauses for luxury retailers at Bal Harbour Shops have expired, allowing these retailers to look at other locations in Miami-Dade County such as the Village of Merrick Park in Coral Gables and Brickell CityCentre, which is now under development. The redevelopment of the Design District is part of a partnership between Craig Robins and a Paris-based investment fund that is backed by luxury giant Louis Vuitton Moet Hennessy. 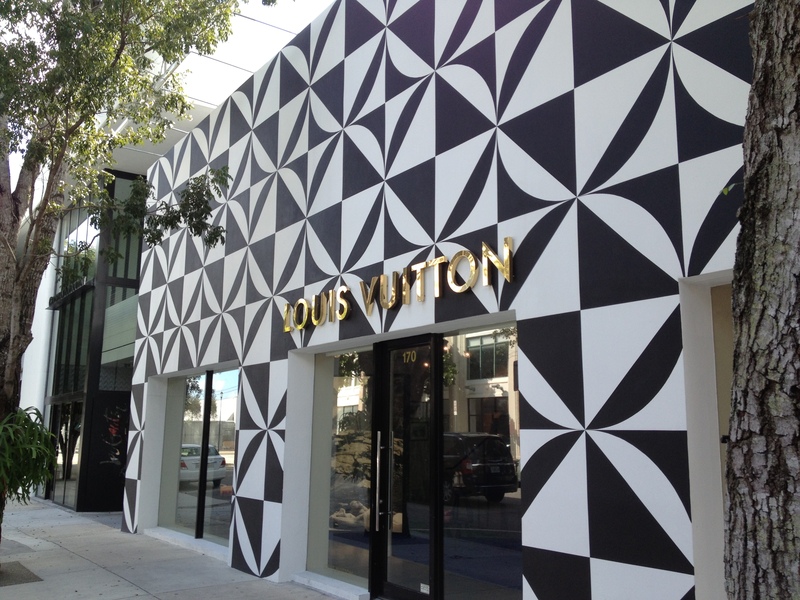 As a result of this collaboration, Louis Vuitton, Christian Louboutin, Christian Dior, Prada, Celine, Hermes and Cartier have already opened stores in the Design District along N.E. 40 Street between N.E. 1st and 2nd Avenues. 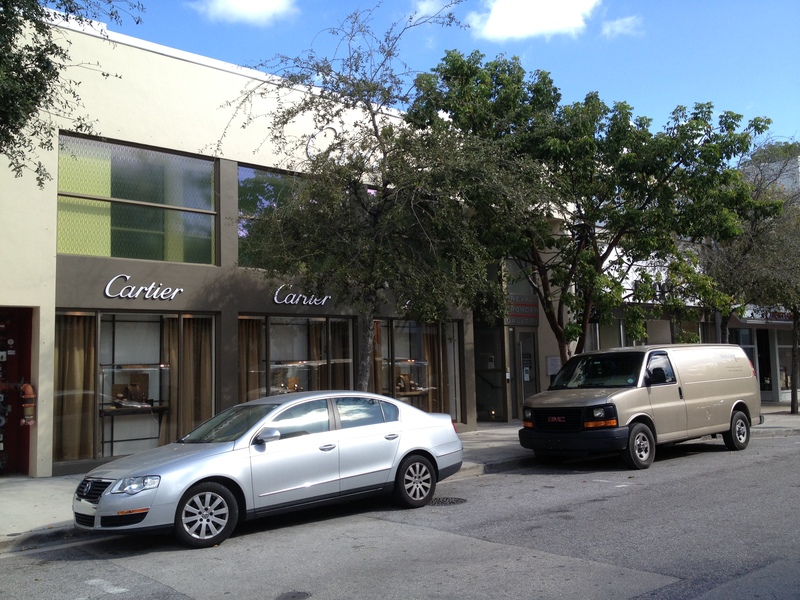 Other famous brands such as Fendi, Pucci, De Beers, Marc Jacobs, Zegna, Tom Ford, Burberry have expressed an interest in locating stores in the Design District. The redevelopment plans also call for two anchor stores such as Bloomingdale’s SOHO concept. This surge in new luxury retail development is fueled by a growing number of wealthy visitors and residents that are arriving in Miami, including those from Latin America and Europe with increasing numbers from Asia. The recovery in Miami’s condo market has been led by luxury high-rise development in prime markets, with many units priced above $1million and marketed to high-wealth foreign buyers. The region’s luxury profile has been greatly enhanced by events such as Art Basel in Miami Beach, a five-day event that is held each December. This event attracts more than 260 leading art galleries from across the globe, with works by over 2,000 artists that draws a sophisticated and affluent crowd of visitors to Miami. Art Basel in Miami Beach is now recognized as the most-prestigious art show in the Western Hemisphere, with functions increasingly centered in the Design District and its adjacent Wynwood Arts District and Midtown Miami. Peripheral areas of the Design District continue to feature interior furnishing and design showrooms, which currently includes a roster of nearly 50 outlets including Adriana Hoyos, Ann Sacks, Armani/Casa, Baltus, Bisazza, Design Within Reach, Holly Hunt, Fendi Casa, Janus et Cie, Ligne Roset, Jonathan Adler, Luminaire, Monica James, Vitra, Pampanoli, Poliform USA, The Rug Company, Waterworks, Michael Dawkins, and Bobby Berk.. These luxury home furnishing and design brands target an upscale clientele. With the addition of restaurants and high-end retailers, more of these design showrooms are open to the public during normal business hours, with businesses seeking ground floor locations with direct frontage to the street to attract retail customers as well. Other plans for the Design District include a high-rise hotel and residential project at N.E. 40 Street & N.E. 1st Avenue, and a continued mix of restaurants and cafes to create a luxury lifestyle shopping “experience” within the Design District. 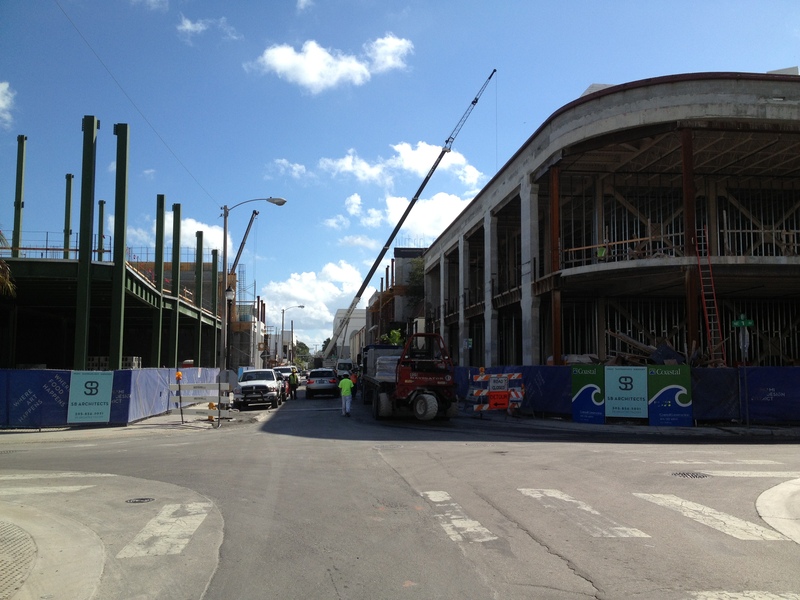 Construction is feverishly underway in the center of the Design District to accommodate these redevelopment plans, with luxury fashion retailers already appearing along N.E. 40 Street. This has led to additional speculation as investors have recently paid premium prices for properties in the Design District, before retailers’ sales volumes have shown support for sharply increased rents. These rents can range from about $30-$60 per square foot at the District’s periphery to a premium rate of $100 per square foot or more along N.E. 40 Street. These investors are hoping that the critical mass of newly-developed retail and showroom space in the Design District can attract enough shoppers that sales volumes will eventually support the higher rental rates and premium prices paid for investments in this market.